Fifteen of anything seems ridiculously bordering-on-hoarder-ing indulgent. Except when it comes to Urban Decay–specifically, the brand’s sublimely glideable 24/7 eye pencils. Toasting the Urban Decay’s 15-year anniversary, the line has introduced a set of their best-selling 24/7 Glide-on Eye Pencils. 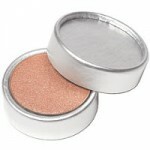 The range includes lush tropical hues, deep metallics, and unusually vibrant neutrals. Fan favorites like Zero, Bourbon and Electric sit side-by-side with six new ones like Asphyxia, Stray Dog and Perversion, a blacker-than-Zero black. What I love about the set? Can’t we agree as people in a world that many of these hues are totally ones that Rayanne Graf would rock to Let’s Bolt? That and the fact that each pencil is stamped with “UD15” so you get that beauty-girl butterfly feeling of limited-edition-itis. The whole collection (and a sharpener! UD thinks of everything) comes packaged in a silver foil box printed with the UD15 ticking pattern. Purchased separately, this set is worth $264 but retails for $92. UM! That’s about $6 per pencil. 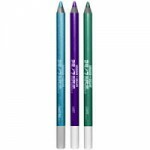 Get the Urban Decay 24/7 Glide-on Eye Pencils set for $92 at urbandecay.com. What great eye pencils. Such fabulous colors! Thanks for the post.